A Beer Margarita is a super easy cocktail to make for your party. A splash of tequila, limeade, and a light beer and you are ready to enjoy. 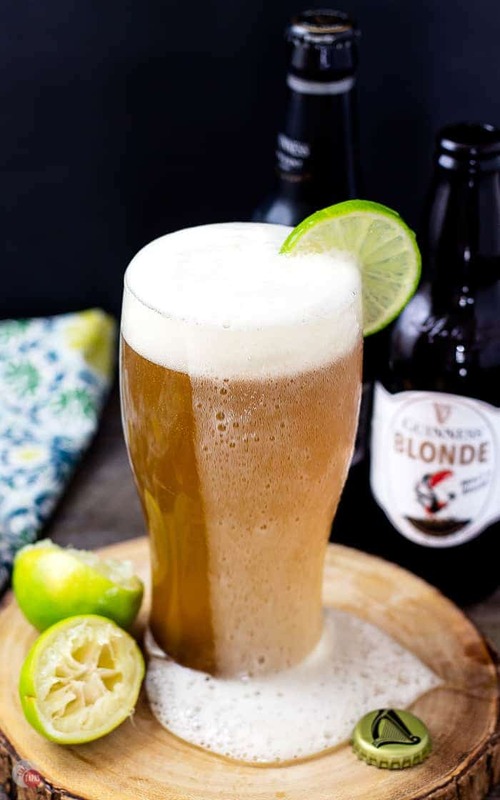 This Blonde Bombshell Beergarita is made with Guinness Blonde so they are perfect for St. Patrick’s Day! What type of beer is Guinness Blonde? You’ve heard of Guinness stout right? Well Guinness Blonde is a marriage of of all the things you love about Guinness and American beers. Using the same strain of yeast in original Guinness and the hops and malts from this side of the pond, Guinness has created a pale lager that is light and crisp and full of flavor! If you like Guinness stout with all it’s creamy richness and slight chocolate flavor, you have to try Guinness Blonde. This is not an advertisement for beer, but this cocktail starts with beer so I had to discuss the actual beer that’s in it! I was never really a beer drinker, except for Guinness and really only on St. Patrick’s Day, but the Blonde, and a few others I have mentioned before, have really turned my palette around. You can’t make a beer margarita without beer! Just take me to the Blonde Beer Margarita Recipe Already! 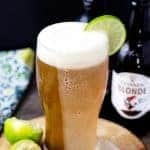 If you’d rather skip my (very helpful, I think) tips and tricks, essential cooking info, and similar recipe ideas – and get straight to this delicious easy Beer Rita recipe – simply scroll to the bottom of the page where you can find the printable recipe card. What makes a great Beergarita? When I came up with the recipe for this Blonde Beerita, I was thinking about St. Patrick’s Day and drooling about the Guinness hand pies I made last year. If I’m thinking about cocktails I am usually thinking about margaritas so naturally I decided to combine the two. I have made Shandy cocktails before with beer which is really all a Shandy cocktail is, Beer and a non-alcoholic mixer. A beer margarita is basically the same thing but with a little extra added in. A great Beer Rita starts with a great beer. Because I am making this Blonde Beerita for St. Pat’s Day, it starts with Guinness Blonde. And it wouldn’t be complete without tequila and your other favorite parts of a margarita. What ingredients are in a Beerita? A beergarita contains all the components of a margarita with a beer added to it. A margarita contains lime juice, simple syrup, tequila, salt, and triple sec. I prefer to keep this beergarita simple with just 4 ingredients! This is really a bare-bones beerita, and adding that splash of limeade really beings out the floral notes in the Blonde lager. If you don’t have limeade on hand, you can add the juice of an additional lime and a splash of simple syrup. Or you can leave out the sweetener all-together and drink it like I do at home and just add a shot of tequila to a beer and squeeze a whole lime in it! I’m nothing if not efficient when it comes to drinking cocktails! Q: Can you use any beer? 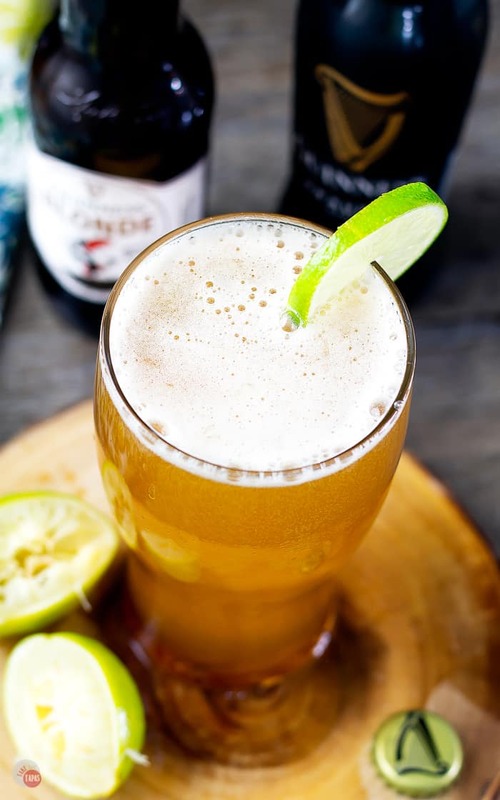 A: I prefer a lighter beer or IPA for my beer cocktails and Guinness Blonde specifically for this Beer Margarita because I am making this for St. Patrick’s Day. Q: Can I use a non-alcoholic beer? A: You can, but if you are going to do that you might need to remove the tequila and increase the volume of limeade to make it completely non-alcoholic. Q: Can I use regular Guinness Stout? A: Yes! I have seen a Guinness Margarita with the regular stout. It’s delicious! Q: Can I make this into a large-batch punch? A: Absolutely! Just increase the volumes by the number of servings you want and add to a punch bowl or pitcher! Other great beer cocktail recipes to try! Looking for other easy cocktails to make at your party? Check out all my 3 ingredient cocktail recipes to fit your special occasion! If you love this Blonde Beer Margarita Recipe as much as I do, please write a five-star review in the comment section below (or on Pinterest with the “tried it” button – you can now add pictures into reviews, too! ), and be sure to help me share on facebook! Beer Margaritas are super easy cocktails to make. Guinness Blonde, a splash of tequila, limeade, and a lime are all you need and perfect for St. Pat’s Day! In a pint glass or other cocktail glass, add the tequila, limeade, and the juice of 1 lime. Slowly pour in your Guinness Blonde lager. Garnish with a lime wheel! What a fun cocktail, this will perfect for our party next weekend – love that it’s easy and fun! I pretty much only drink the lighter beer and any margarita, so this cocktail is perfect for me! A pitcher of beergarita with a few tasty apps and it’s a party! I am not normally a beer drinker, but, this drink is definitely going to make me try it. The beer and tequila combination sounds really good. My husband will LOVE this one!!! How did I not know that Guinness made a blonde ale? That looks like the perfect cocktail to me! I’ll have to give this Guinness blonde a try. It sounds like something I’d love. Love this take on the beergarita! Who needed to wait until St Patricks day to make this… not this girl! Made these for the hubs and I to celebrate that its the weekend! What a fun way to use tequila ! We LOVED them and will make them again many times before St Paddys day! I’ve never made a drink with beer and alcohol. 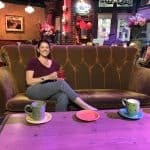 This one sounds right up my alley and I can’t wait to settle in and have one.